Hope you all have had a great week, and are looking forward to the weekend! Also, a quick happy thanksgiving to everyone who celebrates it - even though it is Friday, which means it has passed! Today I'm getting involved in Feature & Follow Friday. 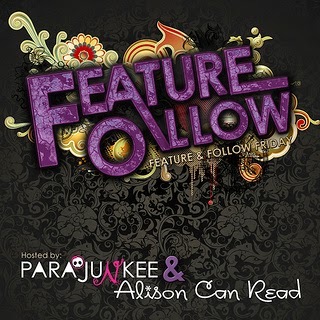 Feature & Follow Friday is a blog hop hosted by Alison Can Read and Parajunkee, in which it is possible to discover and follow book blogs! How fun! To participate like I am, create your own post answering this week's question, sign up in the linky and follow as many of the blogs already listed as you can. 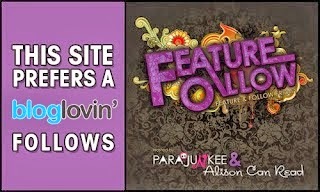 For more clarification, and extended rules, check out the posts the hosts have on their blogs. Please follow me via GFC or BlogLovin'! Answering this question is so difficult, because I really feel like it is impossible to say that I have a favourite death scene in a book. I invest so much when reading, and I connect to every single character in some way, so it is painful to read about them dying - it doesn't even matter if they are a hero or a villain. So, I'm going to talk about the death(s) that upset me beyond comprehension - because technically that does classify as my favourite? I don't know, I'm just trying to find a link because I've found this question incredibly hard! Thinking about this has made me realise that I haven't reviewed this book yet! Ah, must do that soon! Anyway, I feel like this death scene may be one of the best I've read. Since you are reading the story through the perspective of different characters - including Sarah, the mother who has been planning death since her daughter Kate was diagnosed with cancer, all you think about is Kate dying. So when Anna is left brain dead after a car-crash, you realise that there is a lot of unpredictability present throughout this novel. I barely processed what was happening, and my body went into some form of shock - I didn't react at all, instead I just stared blankly at the words on the page. Jodi Picoult is a fabulous writer, and she wrote about the death in a way that tugs at your heart-strings and leaves you breathless. Even though, we were told near the beginning of the book that Rudy would die, when it actually happen, it still shocked me. You could feel his death looming closer and closer, and it took all my strength to keep turning the pages. At one point, I closed my eyes every time I opened to a new page, just incase the words would create an event I didn't want to happen. Rudy was a character I fell in love with, as soon as he was introduced - and it broke my heart when he was taken away. The moment it happened, tears brewed in my eyes, and I felt an aching sadness. This was so wrong, yet so very very right. Even though I had invested into a relationship that I thought was going to remain (#FOURTRIS), I can understand why Veronica did what she did. 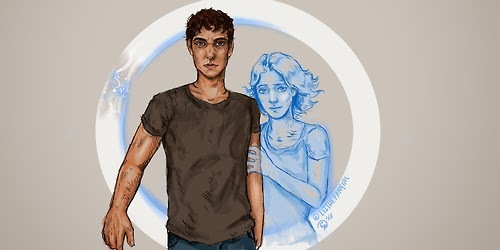 It kind of fits - Tris had always been brave, and she remained courageous till the very end. Sacrificing her life like that, showed that she truly was Dauntless. Despite this, it broke my heart, and I struggled to read the last part of the book, because tears were rolling down my cheeks, thus blurring my vision. Leave a little 'something-something' in the comments below if you are also taking part in the F&F, so I can follow you back! I like your template too, it's simple yet beautiful! You sounded like you really like the Divergent trilogy! I've been meaning to read that but was spoiled on Tris's death. Not sure if I should read the trilogy still. If I did, I'm sorry!! I can't stand it when things are spoilers, so I feel awful! The only one I've read is Allegiant and I think pretty much everyone hated that ending! I'm so upset (still) that she decided to end it that way! I guess it's not the happy ending that everyone wanted, but maybe it's more realistic? New follower on Twitter! I know what you mean! Everyone is so angry...but I do think that killing off Tris makes it more realistic, because up until that point Tris was narrowly missing death, while those around her perished, so I think that by her dying, it makes her seem more human, and not like a superhero. Haha, it's hard to think about it like that, when you really just wanted her to survive!!!! Thanks for the follow! Will be following you back! Oh man, Tris dying was a shock to me. I guess no one ever expects the main character to die even though they're put in so many dangerous situations. I guess the one thing that satisfies me is that Veronica Roth said she always planned for Tris to die. So it definitely wasn't her just deciding randomly to kill her main character. Yes! I agree completely! It's really comforting to know that it wasn't this split-second decision, instead it was carefully thought out and planned! And I kinda sorta mentioned this in my post as well. Just didn't want to name it despite being over a year now. I know a few people who are avoiding it because they heard it was "bad" and I take that to mean their either know she dies or know something like it happens! Yes!!! Tobias' reaction was heart-wrenching! Oh yes, I definitely know what you mean there, Theo James is talented (and obviously BEAUTIFUL)!! Thanks so much for the follow back! I appreciate it! I agree with Anna from my sisters keeper. I for one was incredibly shocked! It was really unexpected!! I was so focused on Kate and her cancer, that I didn't even see Anna's death coming, until it happened!! To this day, I still can't believe it! The Allegiant death shocked me too. I kept waiting for them to bring her back to life with all the technology they had. Loved Four and I was so sad for him. I wasn't expecting Tris's death either. It was definitely shocking to me! Thanks for stopping by my blog and following!I follow you via Bloglovin'! You're welcome! Thanks for the follow back! The only death that I remember is Tris's, since it's been forever since I read The Book Thief, and I haven't read My Sister's Keeper. Tris's death is so sad! New GFC Book! Thanks for stopping by! Happy reading!